OFM N202-MAR NET Series 4 Legged Chair, 18.25" Seat Height, 23.50" W x 15.50" H Back Size, 15.25" W x 22.75" D Seat Size, Indoor/outdoor use, Sturdy steel frame, Rust and fade-proof 17 gauge-metal mesh, Gas lift seat height adjustment on N102, Marine Finish, UPC 845123027417, Greenguard - Certified for children & schools, Easy to assemble. OFM's NET Series Single Seating, Model N202 brings vibrant style indoors or outdoors. 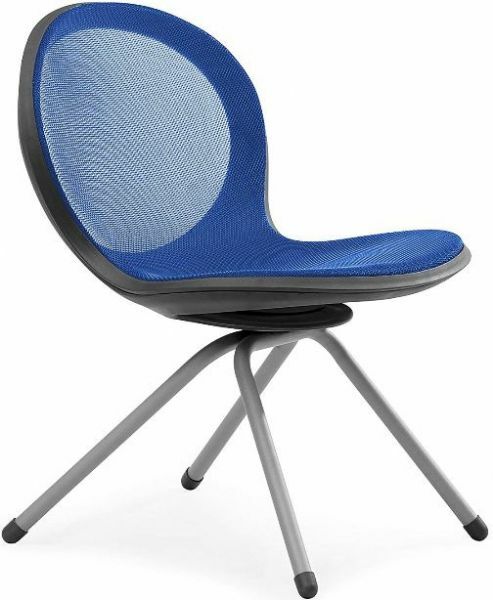 The N202 NET 4-Legged Chair features a rust-proof, fade-proof, steel mesh seat in your choice of 7 vibrant colors. The legs are protected by a powder-coated paint finish.